What is WinTr Scada Redundant? It is a full backed-up operation mode of two SCADA station. Server-Client mode is different than Redundant. Clients reads/writes all or specific Tag values from the server. 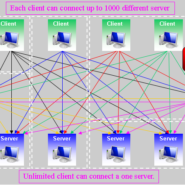 Client and Server communicates automation devices separetly. However redundant mode works %100 backed-up notion. Redundant partner doesn’t communicates with the PLCs while the other partner communicates. It gets all data from the other partner. If first partner disables for some reason the other one takes the communication. Thus always one station stays on line. This occurs for many other synchronized operations beside the PLC communications. How to make configuration of Redundant? First copy the scada project on two computer. Both are must be identical. At control panel redundant settings should be made on both Computer. Specify “Ip Address” for other partner. Specify “Rem.TcpIp Port” for other partner’s port number. Specify “Loc.TcpIp Port” for local computer’s port number. Both port number could be the same. These must be different If you are testing partners on the same computer. One port can only be used by one application on a computer. Specify “TimeOut (Ms)” for partner communication in miliseconds. “Restart” Applies Partner TcpIp settings. Database access can be done in two ways with “Shared Database” and “Use Two Disctinct Synchronize Database” options. Both partners use same database with “Shared Database”. Shared database can be hosted on another server. 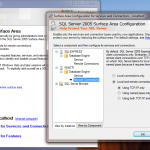 Database access setting should be made on SQL Server tab. In this way historical recordings made by one partner. If partner disabled the other partner takes over. The recordings that other than historicals made by both partner in certain way. With “Use Two Distinct Synchronize Database” option Both partner records data into their databases. These databases could be located on different or same servers. 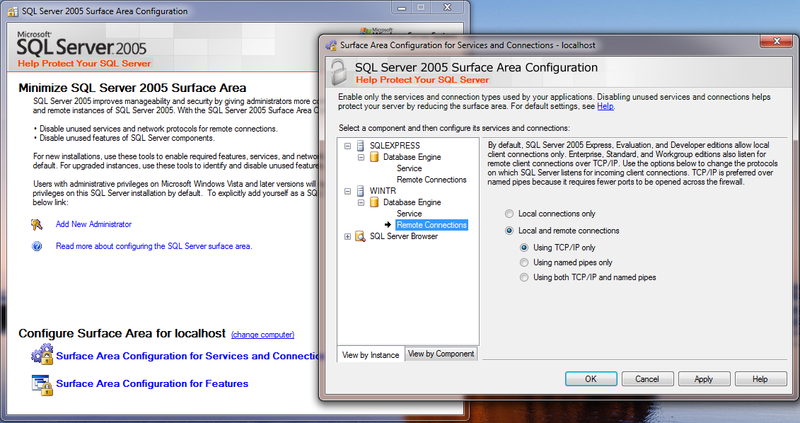 Database access setting can be made on SQL Server tab. With this scenerio each partner replaces missing data from other partner’s database. For example if Partner A disables for a time it completes missing data from Partner B database after reactivated. This operation may take a while if station disabled a long time. Run “Sql Server Surface Area Connection” program. Click on “Surface Area Configuration For Services and Connection”. Run “Sql Server Configuration Manager” program. 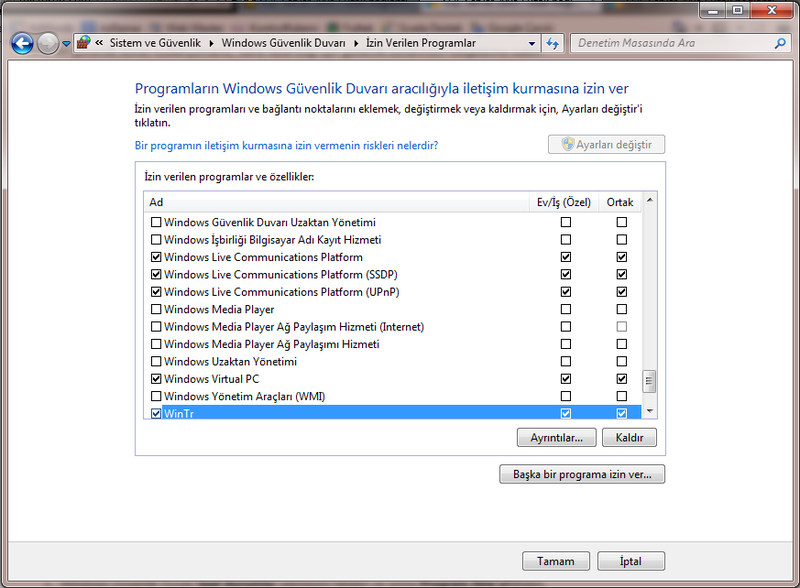 Right click on SQL Server (WINTR) at right side. Run “Restart” function. These will make the SQL Server remote access settings. Write the Database Server name of Remote partner to “Server Name” field. You can connect by using “Partner Computer Name\\WINTR” or “Partner IP Adress\\WINTR” at the local network. It should be written as “Partner IP address\\WINTR,Port No” if connection made over Internet. For Internet connections ADSL port routing should be made also. “Login” Database server user name. “Connect” You can use connect function for testing the parameters of database server. “Database Name” database name which partner scada project uses. Database names must be different If you are testing two partners on the same computer. “Verify Database” Exemines structure of partner and local databases. Result shown in “Result Window”. All rows must be green in this window. If there are red rows data or schemas could be different. All rows contains details of the data. You can find the reason of the difference by exemining these. “Synchronize Database With Remote” Completes missing data from remote database. This is the function that both partners executes when they first started. Compares first and last save dates of all tables in database. Local database completes the missing data from the remote database which older than its oldest data and new than its newest data. “Get All Data From Remote” deletes all data in local database. Copies all data from remote database to local database.